This body butter Souris Verte suitable for the delicate skin of babies and moisturizes. It is also suitable for the skin of mothers during pregnancy, or breast-feeding, it will maintain the elasticity of the skin, put to the test during these demanding. It can also be a basic care tell stretch marks, prevention or treatment. In children, body butter can prevent irritation of the skin such as diaper rash, heat rash, cradle cap. 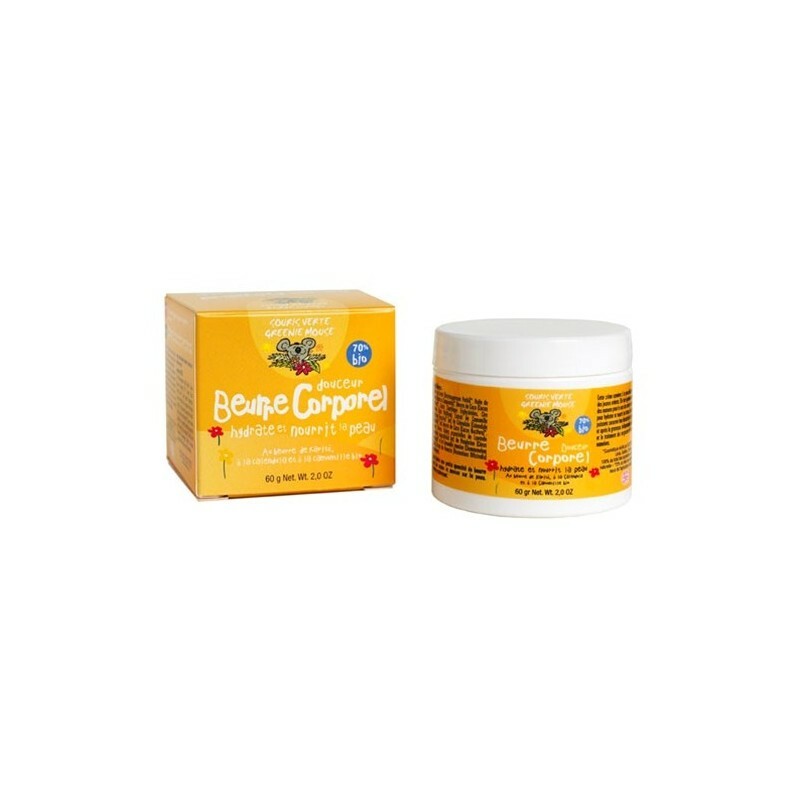 It moisturizes and nourishes the skin and penetrates really quickly.